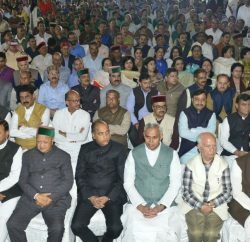 In the debate over the opposition BJP’s resolution over the erasing former prime minister Atal Bihari Vajpayee’s name from myriad schemes, including free ambulance service, Chief Minister Virbhadra Singh said that the Himachal Pradesh government will conduct an inquiry into the purchase of 108 ambulances under a centrally-sponsored scheme by the previous BJP regime. 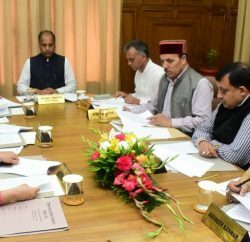 He said that the government would look into the irregularities in the purchase of ambulances under the National Rural Health Mission. CM said that the central government has reviewed the ambulance scheme operating in the states under various names and decided that the scheme should be named the National Ambulance Service across the country. In Himachal Pradesh 108 ambulances services was started on Vajpayee’s birthday in 2010, by the then chief minister Prem Kumar Dhumal. 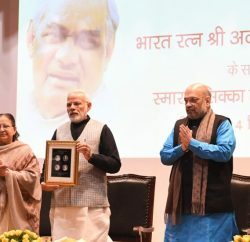 However, Congress had opposed the name of former Prime Minister with scheme as it was central sponsored scheme and changed its name immediately resuming rein in State. At present, 108 ambulances are operating.